Serta Perfect Sleeper Express 14-inch - A Perfect Match For You? Home » Serta Perfect Sleeper Express 14-inch – A Perfect Match For You? Serta Perfect Sleeper Express 14-inch – A Perfect Match For You? Serta’s Perfect Sleeper collection is made up of innerspring, memory foam, and hybrid models in varying comfort levels. They also include a Perfect Sleeper Express series that is delivered in a box straight to your door. All models are designed to combat five common sleep problems, including tossing and turning, a lack of support, and sleeping too hot or too cold. The most luxurious (and expensive) Perfect Sleeper Express is the 14-inch model. It features three gel-infused foam layers, including a cooling layer of gel on top. It comes in at just under $1,000 for a Queen, which puts it at a competitive price with other bed-in-a-box options. Read on for all the details on the Serta Perfect Sleeper Express 14-inch mattress. You love the feel of a pure memory foam mattress. This mattress contains Serta® Cooling Gel Layer, Serta® Premium Gel Memory Foam, and Serta® Gel Infused Support Foam. You are looking for a relatively inexpensive mattress. This model starts at $999 for a Queen size, which is more reasonable than many other memory foam mattress models. You want something firm, but not too firm. 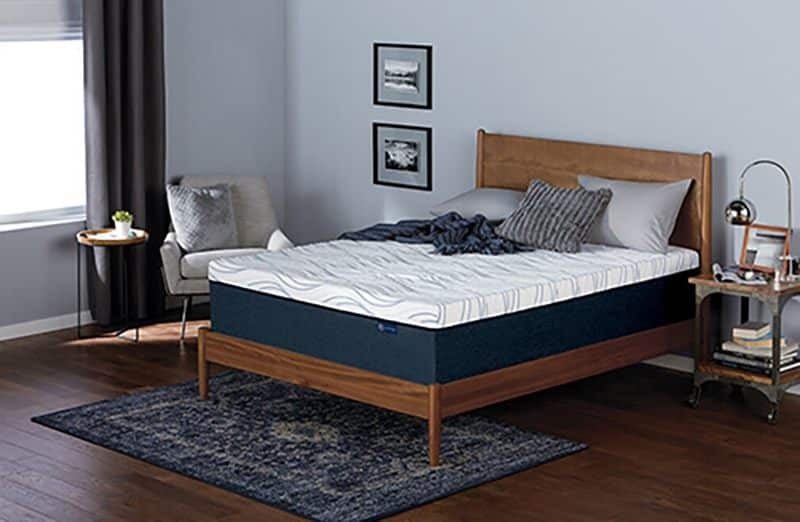 This model is on the firm end of Serta’s firmness scale, making it a great option for people who want a supportive mattress that isn’t too hard. This will most likely be a good fit for back sleepers and side sleepers who prefer firmer beds. You don’t like the snug, enveloping feeling of memory foam. If you like a mattress that bounces, you may prefer an innerspring coil mattress. The Serta Perfect Sleeper series has innerspring options as well as hybrid models for a little more spring and bounce. You are a stomach sleeper. Firmer mattresses tend to suit stomach sleepers the most, because they provide the most support for your stomach and back overnight. For this reason, stomach sleepers might consider the Express 10-inch or Express 12-inch options, which have fewer layers and a firmer overall feel. You are worried about the height of the mattress. Because this model is 14” high, it may require special deep-pocket sheets. If you don’t already own such sheets and don’t want to purchase them, this may not be the right fit. Similarly, if you have issues getting in and out of bed and these issues would be exacerbated by a high mattress, this model may not be ideal. This mattress is toward the middle but still on the firm end of Serta’s mattress firmness scale. While it’s not a soft bed, it is the softest option in the Perfect Sleeper Express series. Most Common Pieces Of Praise For Memory Foam Mattresses: What Makes This Mattress Stand Out? Memory foam mattresses can be incredibly comfortable. They conform to your body shape and support your spine and limbs, which can help alleviate back and joint pain for some people. Memory foam mattresses are very quiet because there are no creaking springs. That makes them an ideal choice for light sleepers who are easily disturbed by noises during the night. Most memory foam mattresses are hypoallergenic and resistant to dust mites. This makes them a good option for people who suffer from allergies or other respiratory issues. Some people find they overheat when they sleep on a memory foam mattress. Some layers of foam can trap your body heat and prevent air from circulating through the layers of the mattress, leading to an uncomfortable temperature. Due to a process called “off-gassing,” some brand-new mattresses may give off a chemical odor caused by chemicals in the foam. This is normal, but it may take a few days to dissipate. Memory foam mattresses may take a while to “break in,” meaning they can feel too firm initially. Most mattresses will feel more comfortable after you have slept on them a few times. Why Pick This Over Other Serta Mattresses? This mattress is 14” high. If you are looking for a high mattress, this is taller than some other Serta models. Like all Serta Perfect Express models, this is a pure memory foam mattress. 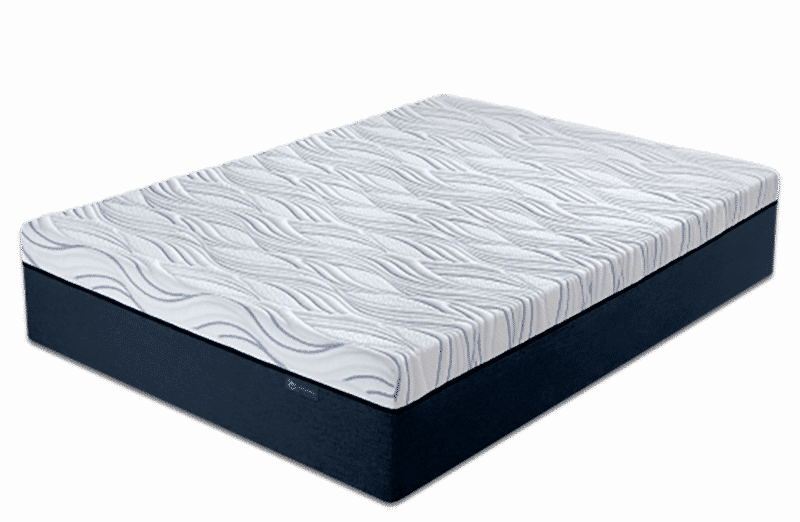 If you want memory foam, rather than a hybrid model or innerspring coil model, this is a good option compared to other Serta models. This mattress is delivered in a box and is easy to set up. This is ideal compared to other Serta mattresses that may require special delivery. 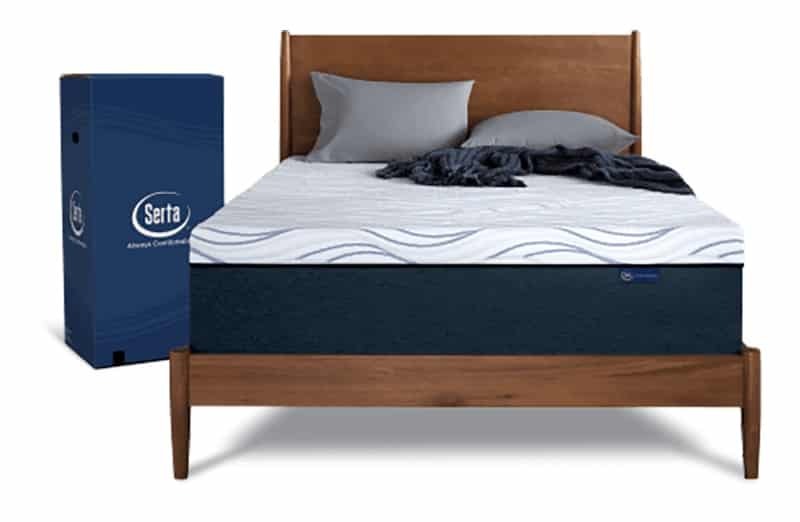 The Perfect Sleeper Express 14-inch model is approximately 14” high and contains Serta® Cooling Gel Layer, Serta® Premium Gel Memory Foam, and Serta® Gel Infused Support Foam. It is delivered in a box and costs $999 for a Queen size. It is the softest mattress of the three models in the Perfect Sleeper Express collection, but it is still more firm than it is soft. Back sleepers and some side sleepers who want a pure foam bed will probably find this mattress the most appealing. Check out our comprehensive review of the Serta Perfect Sleeper series HERE.